I was rescued along with my siblings, Bruno Mars, Beyoncé Knowles, and Lena Horne, off the street by Cat Guardians just before it got really, really cold this past November. Perhaps one or more of my siblings can join me so we can make beautiful music together in your home. Etta James is a very sweet girl. 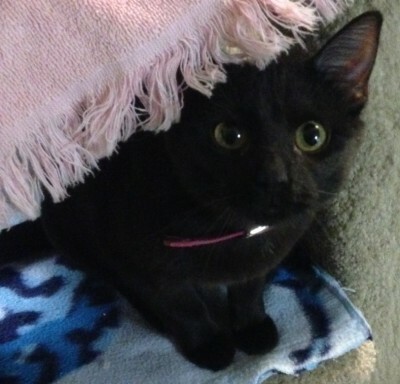 She isn’t quite sure about all the noises in the shelter, so she can come across as shy at first. 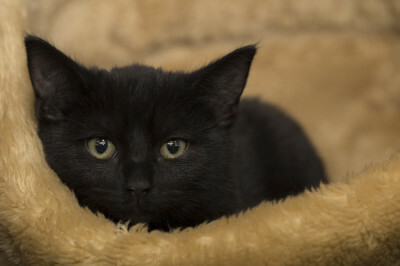 Once she feels comfortable with you, she is quite outgoing, friendly and has a beautiful purr. She is a great conversationalist and promises hours of chatting covering the events of the day. Come and meet this dainty girl today.